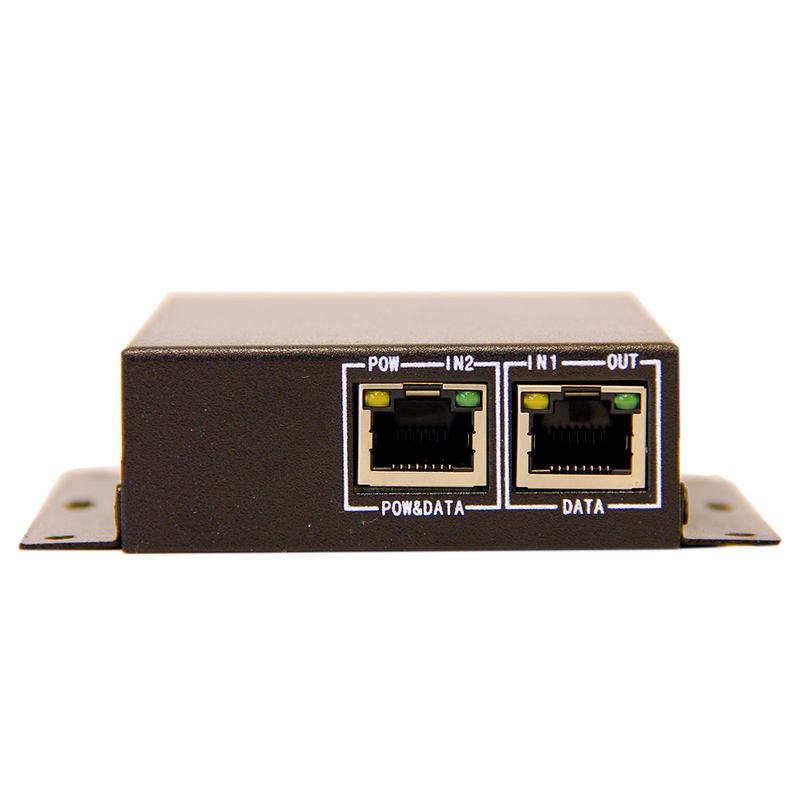 The main items would be a Single port PoE Switch POE-1G which will power the camera via an Ethernet cable and that would get connected to a Wemo Insight Switch. 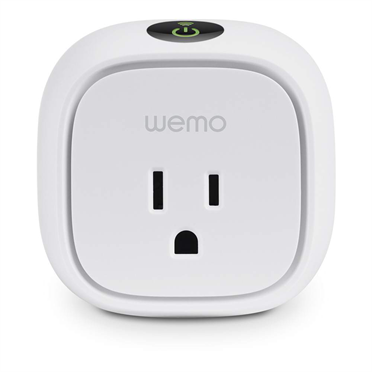 The Belkin WeMo Smart Switch communicates with your IOS or Android Device to turn the power on any 15 amp 120V AC device on or off. This can be used to to control lamps, Christmas lights or anything that will use a 120VAC power source. We will be connecting the PoE single port switch to this device allowing us to power the device or turn it off, but I always like to push things even further. Why not add a Siri like device to operate not just this but any other Belkin WeMo Switch or Nest Thermostat devices? Well for this we need a device called ivee which doubles as a Smart Clock that connects to any smart device. 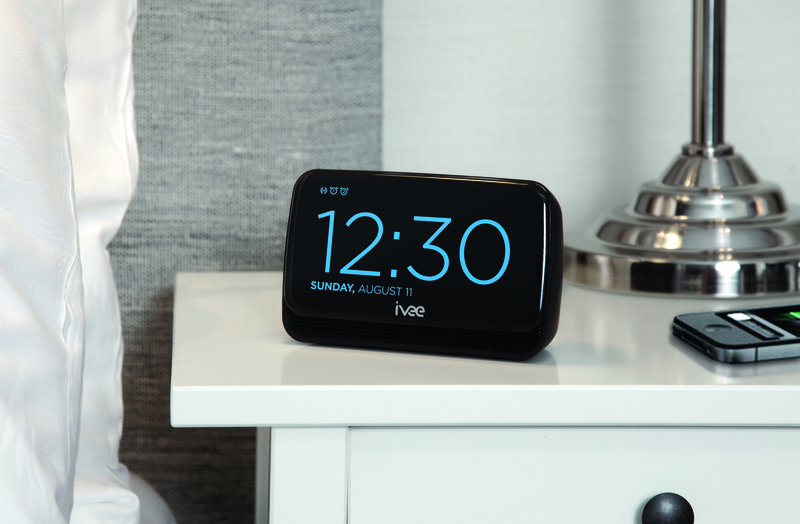 I found myself needing to change my alarm from time to time and found this smart clock that also allowed me to turn up or down my temperature using my Nest Thermostat as well as turn on of off the lamps or even open or close my front door making my life a little bit easier since in times I forgot if I set my alarm correctly and also if my front door dead bolt was in the locked position, a simple command to the ivee from the comfort of my bed allows me to do this as well as allow me to turn off the camera in my bedroom when I decide I need some privacy. There are so many things that can be done with this type of device that people do not realize it. For example you can add a command to enable one of these Smart Switches and on this smart switch you can have a relay that will accept any high or low voltage device, lets say you want to turn off a non smart device such as a fan. If you are a techie you can have this device restart a router or any network device that does not have the ability to be accessed or the manufacturer failed to add a shutdown feature to it. One big project that I will be integrating this would be to add this as Do it Yourself Pet Feeder where I will be ordering one of these and dismantle it and use it to operate a stepper motor that will have an auger drill with a hopper that will have a “V” shape. This will enable me to command Ivee to feed my cats in the morning while I get ready to go to work relieving from doing so as well as giving me the ability to feed them once I get home. This gentleman here has a Feeder for his fishes, You can see how it works. 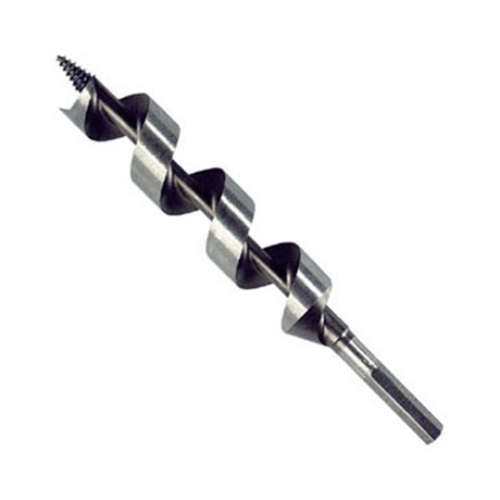 You have a drill that will be used as an auger and a hopper that will have the feed. You can time the feed for my cats I would say 3 minutes or so for each cat once it has does its thing it should turn off , a simple time that resets itself should do the trick for this now keep in mind that for indoors you need to enclose this device so that any children or pets do not mess with the device since it does power using alternate current. As well as adding fuses to protect the circuit. 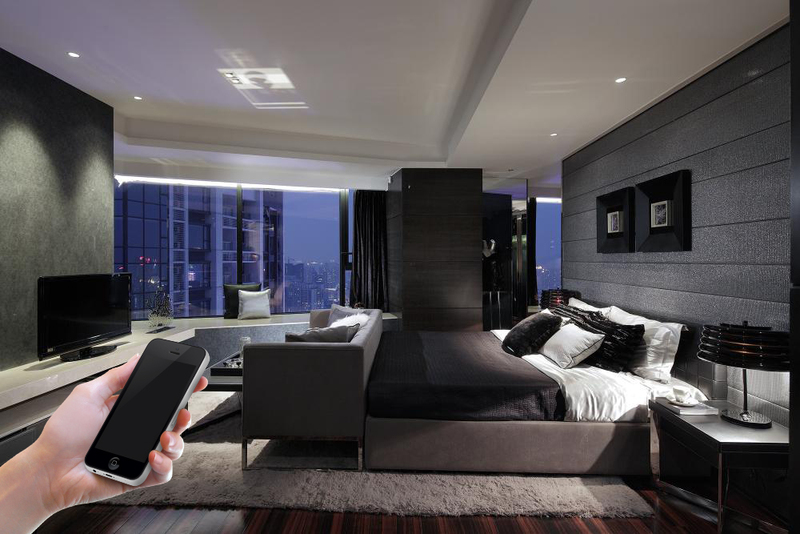 Smart Home Devices should not only allow you to enjoy Media but assist you with the smaller tasks that take so much of your time. Having these devices will enable you to view you home from anywhere in the world, open or close your front door when ever you wish to do so, like when you are at work and all of a sudden something breaks in your home there is no longer a need to call in off because you need your washing machine fixed , you can simply have the Handy Man work on the washing machine while you view him or her on your Surveillance system and allow him entry using your Smart Lock. Since I have cameras all over my interior and exterior I can monitor anything that happens in my home as well as allow anyone entry. Another example is if you are renting your Home or Apartment,there are times where landlords do not know they are not allowed into your apartment or home, knowing if your landlord is coming and going at times they are not allowed will help you in a situation where the landlord or any individual has entered without your consent.